Everything you'll need to do to hit 100% completion in Red Dead Redemption 2. Our Red Dead Redemption 2 100% Completion guide contains a checklist of all activities that you need to complete to max out your game save. Red Dead Redemption 2 has been out for a couple of weeks at the time of publishing this article, and if you're done with the main storyline you'll likely want to make sure you're sampling every last drop of content in the game. If you do manage to cover key side activities and story missions you'll unlock 100% progress on the game, which is a nice way of making sure you've checked off the best that the game has to offer. In our 100% completion guide, we've broken down everything you need to do to reach the elusive milestone. For some of the trickier tasks involved we've produced individual guides - click the links to get step by step walkthroughs for each one. Here are some of the key missions and in-game events that you need to complete as part of your journey to 100%. There's a huge number of collectible sets and objectives to work through in Red Dead Redemption 2, and you'll need to finish up all of these for 100% completion of the game. Finish "A Test of Faith"
Finish "A Fisher of Fish"
The video below helped us out a huge amount when it came to tracking down all nine graves. Give it a watch if you're struggling to complete it. You'll encounter a handful of gangs as you complete the story, but a couple need to be tracked down separately. The video below explains how to do exactly that. Developing your character is also a part of the 100% completion process. Here are the three challenges you need to overcome. 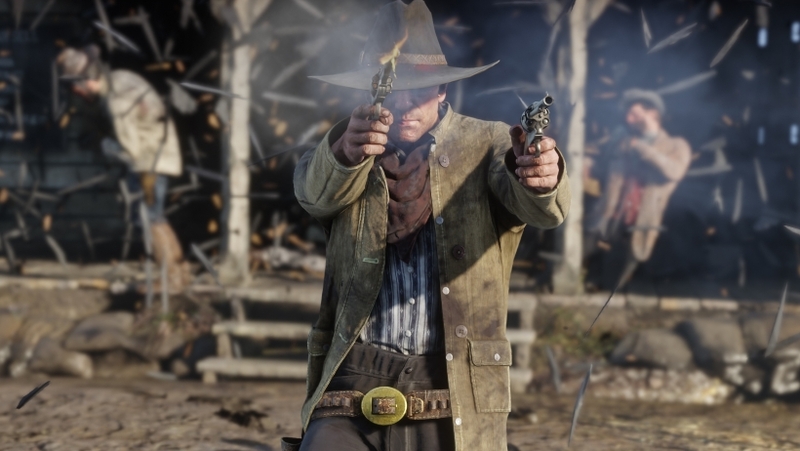 The video below goes into detail about the Robbery systems in Red Dead Redemption 2. Give it a watch if you're struggling to take these challenges on.